UPATED COORDS TO REFLECT THAT I PLAN TO HAVE IT WITH ME AT GEOWOODSTOCK XIII. 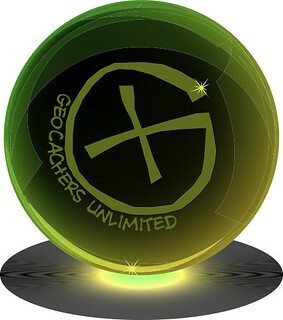 COME LOOK FOR IT AT THE MILITARY ASSOCIATION OF GEOCACHERS (MAGC) VENDOR BOOTH. Not at the listed coordinates! You will generally find this at events hosted or attended by the cache owner. This cache is a companion to Star Wars Trilogy - Darth Vader's Odyssey - The Wormhole at OpenCaching DE. This mole-hole is supposed to transport GeoKrets via tunnel to Warsaw (Warszawa, Poland). GeoKrets love to muddle through this mysterious pipe system, so simply drop a GeoKret into the hole and it will appear in the area of Warsaw. Be aware of one-way traffic - only drop GeoKrets heading to Warsaw. Remember to log your dropping correctly at geokrety.org! Never ever grab a GeoKret from this hole! Dropping GeoKret in the hole make sure that description of the GeoKret is in English language (Polish, German and other are allowed but only as an additional languages). Usually the GeoKretExpress is real express but from time to time GeoKrets tend to dawdle and jam the complicated transmission tunnel system. So transit time may last up to two months. This mole-hole is intended to transport GeoKrets (or other trackable via tunnel to Berlin, Germany. If you are dropping a Groundspeak trackable, you should log it into the event. When trackables are received at the far end, they will be placed into appropriate geocaches. GeoKrets love to muddle through this mysterious pipe system, so simply drop a GeoKret into the hole and it will appear in Berlin. Mole-hole traffic is one-way - only drop GeoKrets heading to Berlin. Remember to log your dropping correctly at geokrety.org! Never ever grab a GeoKret from this hole! You may discover them, however. When dropping a GeoKret in the hole you may want to be sure that its description includes a German translation. Usually the GeoKretExpress is an express, but from time to time GeoKrets tend to dawdle. So transit time may last up to two months. More information about the mole-hole-system at GeoKrety.org. Companion cache was previously archived. Will do something different with the can. Found at Last Saturday of July. Thanks for coming. Attended Geowoodstock, and had hoped to get back from a day of caching early enough to find this one, but by the time we returned to the event, it was gone. At GeoWoodStock, With TBC! [:)] T4TC! Found this at the Dudley & Chaz Come to Charlotte event. First event I've been to with more than 1 moveable cache in attendance. Thanks for bringing it!